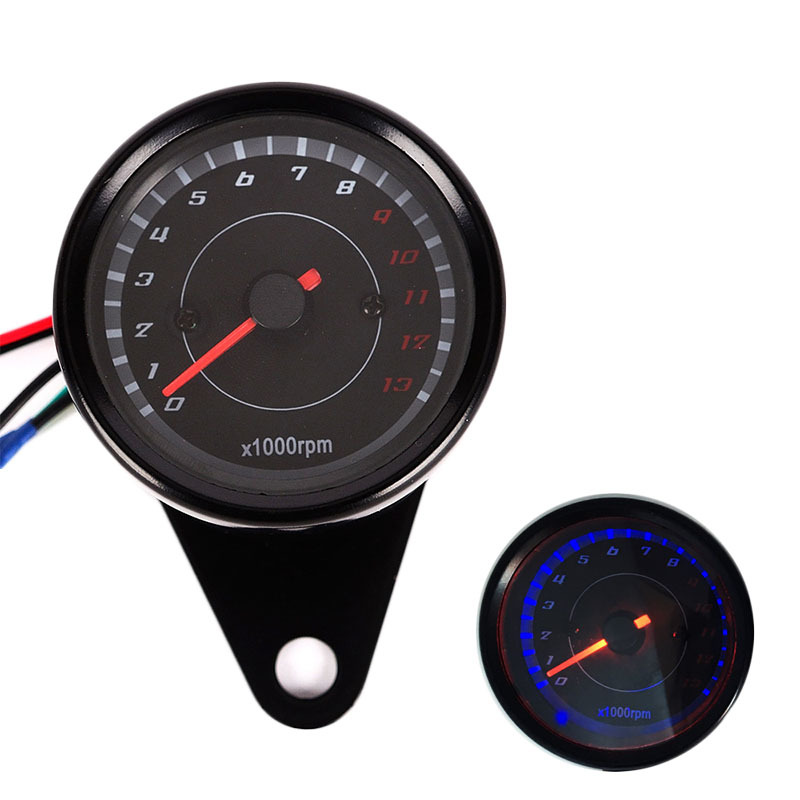 Successfully Added DC 12V Motorcycle Tachometer Modified LED Digital Display Motorbike Gauge to your Shopping Cart. -- Top-ranking material, eco-friendly, wear resistant and long life service. -- Precisely machined and with strict quality control standards, through professional process and treatment. -- Allow to read the real-time speed clearly. -- Internal night light, blue LED light. -- Long life service, anti-ageing, and easy to install. Wiring: The tachometer has 2 wire groups, 2 wires and 3 wires respectively. 2 wire are the instrument backlight lines, which are connected to the lighting, positive and negative.